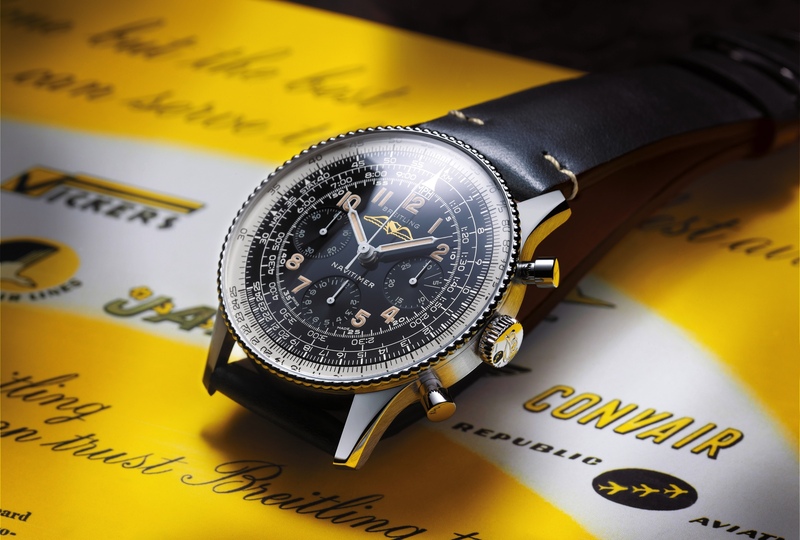 This is the new Navitimer 1 Automatic 38 designed with the 1950s in mind, when Breitling introduced the Reference 66, a three-hand Navitimer. For those looking for a clean dial, with no chronograph counters, yet who also want the signature Navitimer aesthetic. 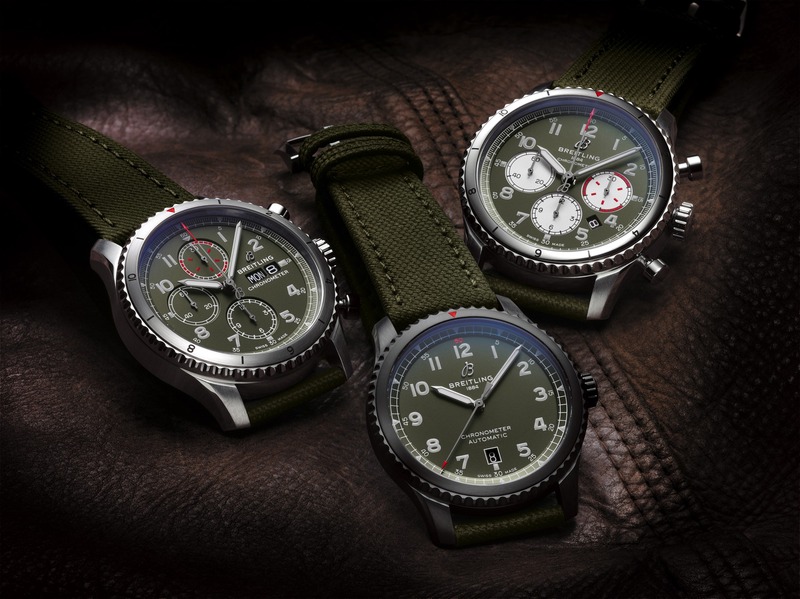 At 38 mm it surely meets the demands from purists in terms of size, and it can work for men who wear small watches or for women who prefer large watches. 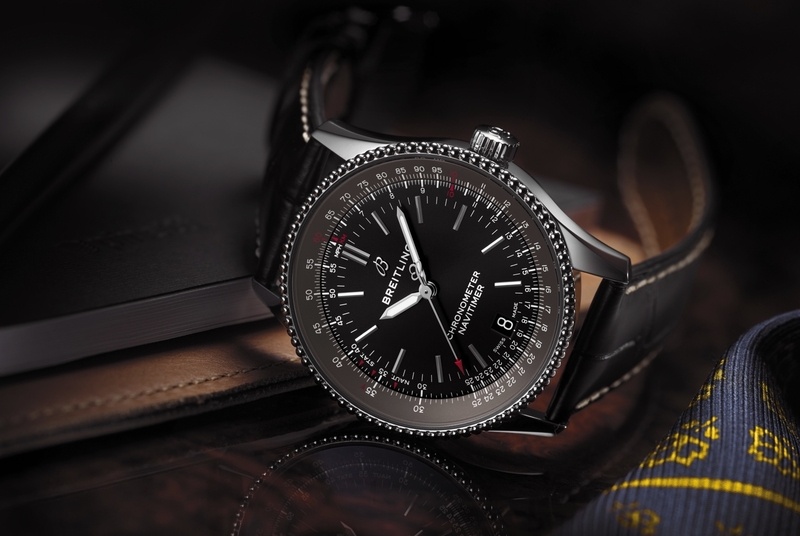 Featuring a ratcheted bidirectional bezel, and an aviation slide rule, the look is familiar, although one of the most prominent design elements of this all-new model is the retro-style beaded bezel edge. The Navitimer 1 Automatic 38 is powered by a caliber 17 automatic movement with 40-hours of power reserve and features a screwed caseback. Available in three variations: blue, black, or silver (cream) dial, the latter with an 18K red gold bezel, each is available with the option of an alligator leather strap or steel bracelet. 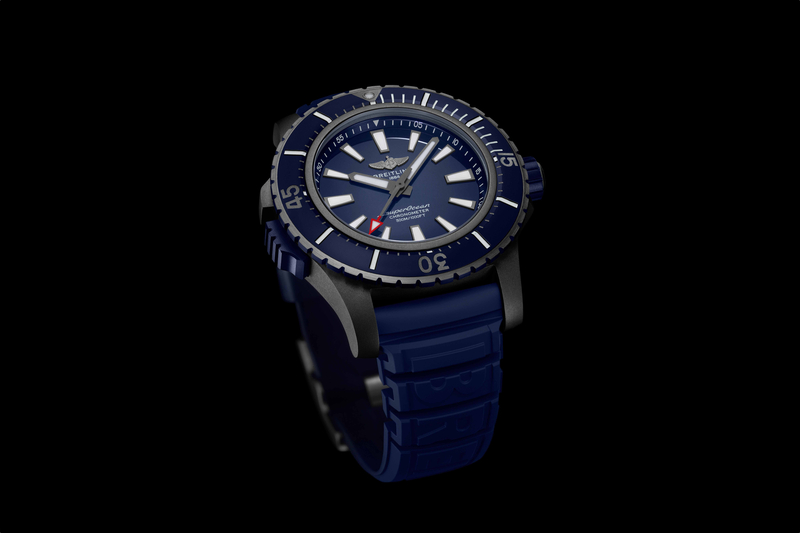 Retail is $4,310 for the blue or black dial on alligator strap, $4,860 with a blue or black dial and steel bracelet, $5,820 for the two-tone version with silver a dial on alligator strap, and $6,360 for the two-tone version with silver a dial on a steel bracelet.